Winery Guild gives above average boost to the trade in region. Its value is higher in summer, the peak grape-harvesting season. If you have an inn in the town common folk also will be overjoyed tasting their local sorts of wine sometimes becoming heavily addicted. Vineyard gives a slight boost to the trade in region. Its value is greater in summer, the peak grape-harvesting season. If you have an inn in the town common folk also will be glad to take a cup of good wine, sometimes even loosing the measure and health. In medieval Europe the Christian Church was a staunch supporter of wine, which was necessary for the celebration of the Catholic Mass. 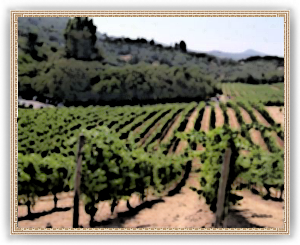 During the lengthy instability of the Middle Ages, the Christian monasteries maintained and developed viticultural practices, having the resources, security, stability and interest in improving the quality of their vines. They owned and tended the best vineyards in Europe and vinum theologium was considered superior to all others.